With our recent crowdfunder we’ve received £17,000 nearly doubling donations so far to £35,00! This will make it possible to commission technical drawings and an engineer’s certification, pursue planning permission and organise workshops to involve people in the project. We’re continuing crowdfunding til 21st December to raise funds towards the costs of casting the Peace Tree sculpture in bronze, fabrication of the bench, a maintenance fund and installation in Princes St Gardens. Can you help out with a donation? Donations can be made in lots of ways. 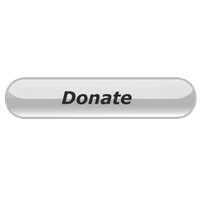 If donating by PayPal, Bank Transfer or cheque please Download a Gift Aid Form here and complete and return it to us. 4. Donate by cheque made out to Edinburgh Peace & Justice Centre with a note to indicate the donation of for the Opposing War Memorial Fund. Cheques can be posted to Edinburgh Peace & Justice Centre, Opposing War Memorial Fund, 5 Upper Bow, Edinburgh EH1 2JN. 5. Drop in and drop off a cheque or cash donation at the Centre, 5 Upper Bow, EH1 2JN Wednesdays 2 – 5pm and Fridays 10am – 1pm. 6. Or Click Here to donate via the Crowdfunder page. EP&JC is a Charity registered in Scotland: SC026864. Please Gift Aid if you can. Gift Aid forms available upon request.